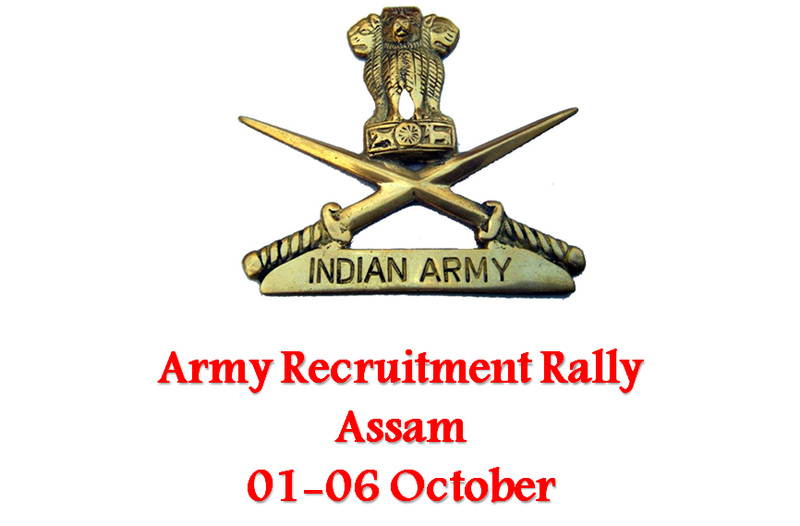 Army recruitment rally will commence from 01 October at Mariani, Assam. This 06 day long recruitment drive will be held for 08 districts of the State. Indian Army had recently completed the application intake procedure for army recruitment process in Assam. The rally will be held for Tinsukia, Dibrugarh, Sibasagar, Jorhat, Golaghat, Karbi Anglong (less Hemren Sub Division), North Lakhimpur & Dhemaji districts of Upper Assam. According to Army officials, the admit card for the same has already been generated. The Common Entrance Examination (CEE) will be held at 23 October 2016. 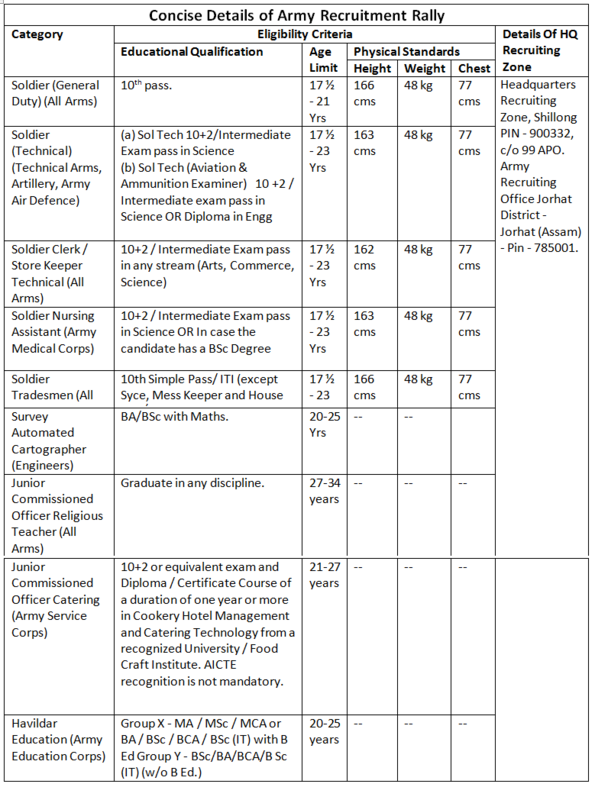 The recruitment drive will be held for all categories i.e. Sol GD, Sol Tradesman, Sol Tech, Sol Clk / SKT / Inventory Management.